Start by clicking the “File” tab. Make sure the General screen is active. 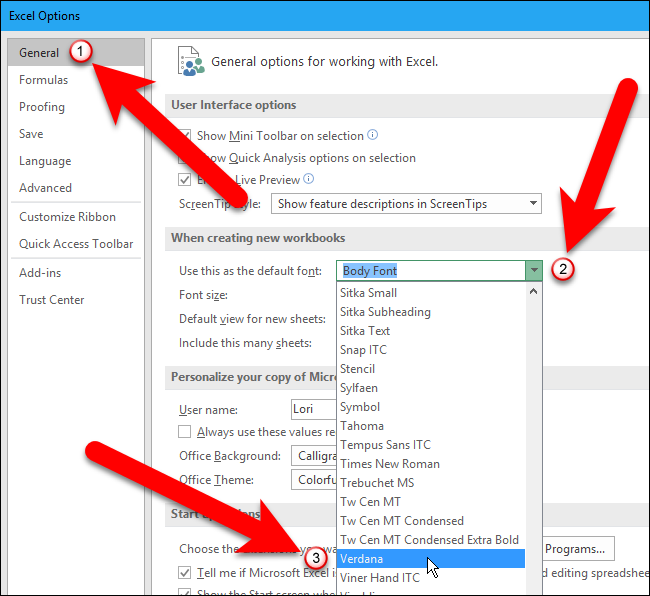 Then, select the font you want as the default from the “Use this as the default font” drop-down list. To select a different font size as the default size, select a size from the “Font size” drop-down list. 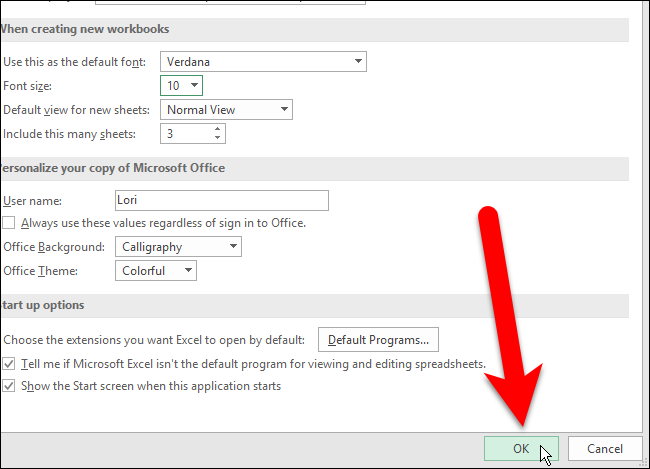 Click “OK” to accept the changes and close the Excel Options dialog box. 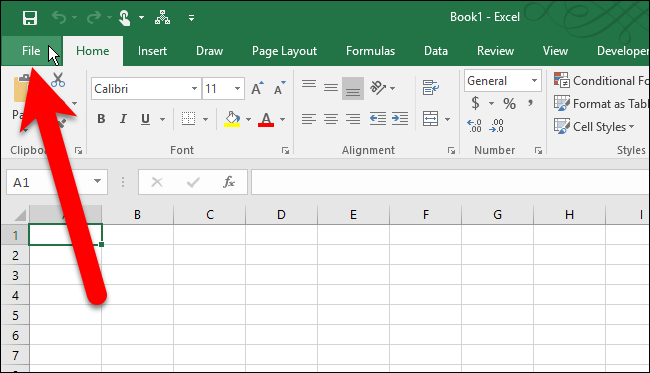 You must exit Excel and restart it for the changes to take effect. 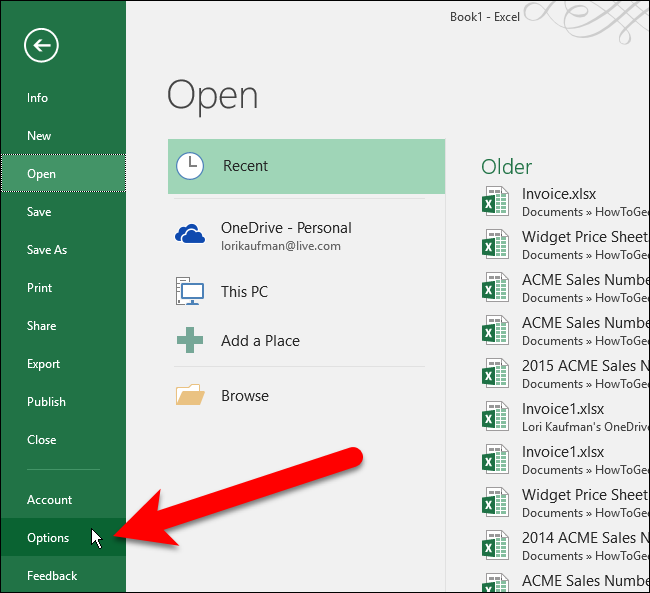 Click “OK” on the following dialog box that displays and then close and reopen Excel. 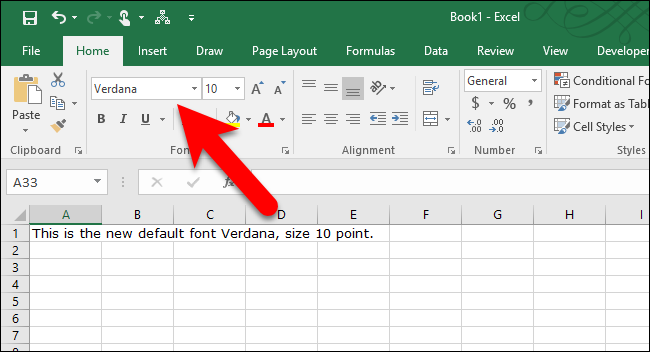 Now, you’ll see your chosen font and size as the defaults for all cells on all worksheets in any new workbooks you create in Excel. 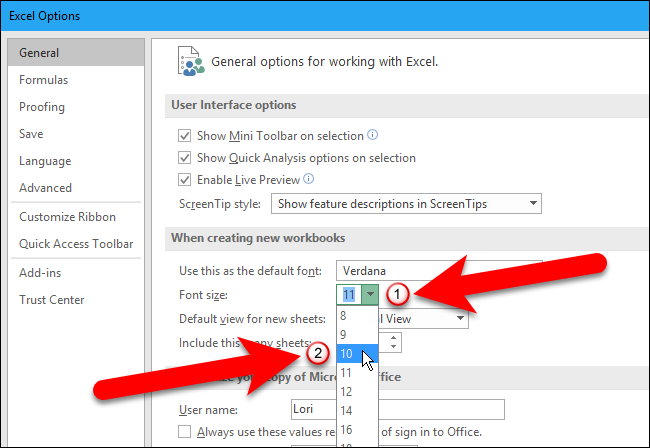 You can always change the font using the Home tab on the ribbon as well, but it’s only for the selected cells on the current worksheet.